Our family law attorneys serve clients who need help with a broad range of family law issues. We offer family law legal services such as preparing premarital agreements (also known as prenuptial agreements), post-marital agreements, and separation and property settlement agreements. Our attorneys can help you settle your family law disputes without litigation, through the collaborative divorce process and mediation. When disputes cannot be worked out agreement, we represent clients in court actions in New Hanover, Pender and Brunswick Counties. Court actions include divorce, annulment, child custody, child support, postseparation support, alimony, equitable distribution, and enforcement of orders and agreements. We also prepare pension and retirement account division orders. In addition, we help clients with name changes, adoptions, paternity actions, legitimations, incompetency and guardianship proceedings, and cases involving allegations by the Department of Social Services of child abuse, neglect and dependency. When parents cannot communicate and cooperate with each other, we have an experienced parenting coordinator who can help parents raise a child with less strife and acrimony. Our attorneys have the knowledge, competence, compassion, experience, personal skills, and dedication to effectively counsel clients through distressing and difficult domestic situations. Our attorneys have excellent trial and negotiation skills. We are well versed in both state and federal statutes, as well as in North Carolina case law related to family law issues. We pride ourselves on providing excellent service to each client that is ethical, efficient and as economical as practical. In return, we expect our clients to be honest with us, to promptly pay our fees, to treat us, including our staff members, with courtesy, and to cooperate fully with the attorneys and staff members as a case progresses. We need your cooperation to represent you most effectively! 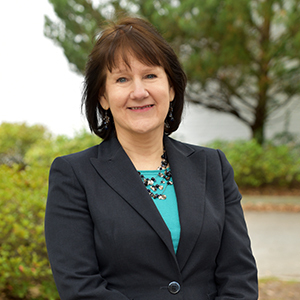 Linda Sayed is certified by the North Carolina State Bar as a Family Law Specialist. The North Carolina State Bar certification program assists members of the public in the selection of legal counsel by identifying lawyers who have demonstrated special knowledge, skill, and proficiency in certain areas of the law. Ms. Sayed has a broad understanding of the nuances of family law matters involving military service members, and state and federal employees. She is trained as a certified family financial mediator and in the collaborative family law process. Ms. Sayed restricts her litigation practice to New Hanover and Pender Counties. Jamie Getty was selected as a Business NC Legal Elite “Young Gun,” because of her zealous advocacy and determination to fight for her clients, both inside and outside the courtroom. 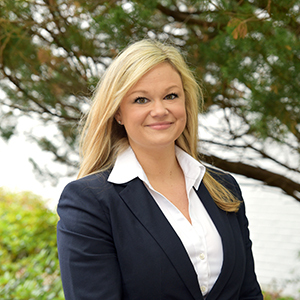 Ms. Getty litigates family law cases in New Hanover and Pender Counties. She also handles incompetency and guardianship matters, and matters involving the New Hanover County Department of Social Services. 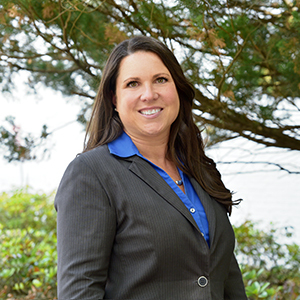 Melissa Wright is an experienced family law litigator, certified family financial mediator, collaborative family law attorney, and parenting coordinator. Ms. Wright practiced family law for 12 years in Mecklenburg County before moving to Wilmington in 2015. Ms. Wright litigates primarily in New Hanover and Brunswick Counties. She is frequently appointed as a parenting coordinator to assist parents with complying with court orders and to teach parents how to communicate and cooperate more effectively about their children. Disclaimer: The information provided on this website is of a general nature and is not intended to be used as legal advice. Family law is very complex, and there are many exceptions to the general rules that may be stated. The information is not intended to be exhaustive or complete. The law is constantly changing and the information may become outdated before we can update it. You should seek the advice of a qualified attorney regarding your specific facts and how the law applies to your specific facts. Unless you enter into a contract for services with one of our attorneys, you are not our client, and we have no duties to you under the Rules of Professional Conduct.